Troubled by what she says is a dearth of resources to support student mental health, CalSERVE Senator Briana Mullen hosted a town hall Tuesday night at which attendees proposed solutions to address the issue. Mullen noted at the meeting that, as a highly competitive university, UC Berkeley presents a unique set of challenges that can cause students undue emotional stress. The event became somber when one attendee spoke about his emotional stress after the Sept. 30 explosion that sent one student to the hospital. The attendee said he was standing on the manhole that exploded when the blast occurred, and although he was not physically injured, he felt authorities at the scene did not take his mental health concerns seriously. Other students at the town hall made a number of suggestions Mullen intends to present to campus officials. The proposals include increasing the number of free one-on-one counseling sessions offered by the campus per semester, augmenting the number of on-site counselors and hiring specialized counselors trained in issues regarding race and sexual assault. However, University Health Services has already implemented several changes over the past year to address many of these issues, according to Jeff Prince, director of counseling and psychological services at UC Berkeley. Two new counselors were hired over the summer and specialize in LGBT and African American issues specifically, Prince said. 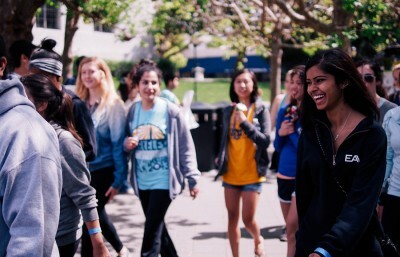 UHS made efforts to improve its visibility on campus, which were facilitated through direct financial support from the campus and a $600,000 grant UC Berkeley received in 2011 from the California Mental Health Services Authority. UHS has also increased its visibility by having location-specific counselors in the Cesar Chavez Student Center, International House and the residence halls, Prince said. “One of the ways that we have worked in the last couple of years is to put counselors in a positions on campus so they are more visible and accessible for students so they don’t have to go to Tang Center,” Prince said. However, Prince acknowledged that the Tang Center, UC Berkeley’s health center, is lacking sufficient counselors to deal with the nearly 6,000 students who request one-one-one counseling per year. Jose Hernandez covers campus life. Contact him at [email protected].